Most of us have complete faith in our doctor’s diagnosis and treatment recommendations. We never for a second doubt that it could be wrong. Yet in just one year, as many as 1,300 patients filed and won compensation claims for misdiagnosis, costing the NHS a total of £194 million. The fact that this payout was made in just one year for clinical negligence claims goes to show that things can and do go wrong. 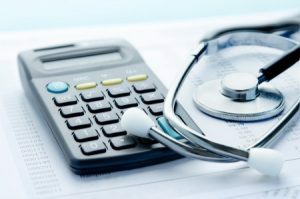 When it comes to clinical negligence claims, there are essentially three categories of claims – total misdiagnosis in which the symptoms are not diagnosed at all, wrongful diagnosis, in which the symptoms are incorrectly diagnosed and late diagnosis, in which the symptoms are diagnosed beyond a reasonable time lapse. Claims for total misdiagnosis – A total misdiagnosis is also known as a missed diagnosis. When a medical practitioner fails to recognise the symptoms of an existing condition or illness, it is called a total or missed misdiagnosis. Without a diagnosis, the patient does not receive the necessary treatment which results in the condition getting progressively worse, leading to longer treatment and longer recovery times. Claims for wrongful diagnosis – Wrongful diagnosis can create two types of scenarios. In some cases, the patient’s symptoms are wrongly identified and the patient mistakenly undergoes treatment which was not needed. The most common examples are patients who get an organ or tissue removed after a wrongful diagnosis or patients who undergo chemotherapy unnecessarily. In other cases, while the patient is receiving treatment for a condition that does not exist, their actual condition goes treated, resulting in the patient then requiring more extensive treatment. There is also the psychological element to be considered from being told that they are seriously ill, which in fact it is not correct. Claims for delayed diagnosis – When the symptoms are not diagnosed in time the patient’s condition progresses and is only diagnosed when it has reached an advanced stage. A delayed or late diagnosis causes the patient to suffer unnecessarily and when treatment eventually begins, the recovery time tends to be longer. In some cases, depending on the condition, it can also have an impact on the patient’s life expectancy. Why do medical misdiagnoses occur? There are several reasons why medical misdiagnoses occur. Though one of the most common reasons is because of negligence, this is not always the case. A medical diagnosis may occur because a doctor did not do a thorough investigation of the symptoms presented or because the doctor did not perform the correct tests that may have led to the disease being identified. The likelihood of misdiagnosis is higher when the patient is attended to by unsupervised junior medical staff or because the doctor just did not have the necessary experience in that particular speciality. Another common cause of misdiagnosis is wrongfully interpreting diagnostic tests such as X Rays, smears, biopsies, MRI scans, tissue samples and biopsies. When are you entitled to claim compensation? You may be eligible to file a claim for compensation if the pain and suffering you are experiencing is more than what you would have experienced if your condition had been correctly diagnosed and you had the opportunity to receive timely treatment. Also, this should have been as a result of a medical professional’s misdiagnosis and should be no fault of yours. There are very specific statutes of limitations with regards to filing a compensation claim for medical misdiagnosis. As a general rule, you must file the claim within 3 years of the date of misdiagnosis. It could be that there was a considerable time lapse from your first visit to the doctor and second visit when the misdiagnosis was discovered. In this case you must file the claim within 3 years from the date you discovered that your injuries or worsening health condition were due to misdiagnosis. The deadline can be extended only under a few laid-down circumstances. 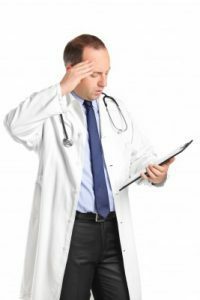 Who is the misdiagnosis claim filed against? You must file a medical misdiagnosis claim against the hospital or GP surgery that you first consulted with. If the consultation and treatment was carried out in an NHS hospital, the claim should be filed against the NHS Trust in question. If the consultation was carried out in a private clinic, your claim will be filed against the medical practitioner in question or against their insurance company. What do you need to file a successful claim? According to the law, all healthcare professionals owe their patients a duty of care. The most important factor in filing a successful medical misdiagnosis claim is being able to establish that the medical professional was negligent in their duty towards you. In other words, you will need to prove that there was a breach of duty. Negligence or breach of duty is said to have occurred when the standard of care received is not at the standard of competency that is expected of a professional in the same field. Your personal injury lawyer must be able to demonstrate that the lack of treatment or in some cases, the treatment that you received was responsible for causing you unnecessary pain, injury or suffering. What is important to remember in misdiagnosis claims is that even if you can prove negligence you may not be awarded any compensation if your symptoms did not get actually get worse despite the wrongful treatment or lack of treatment. The main clause for winning the claim is that the misdiagnosis should have caused or worsened your condition or illness. In case of medical negligence, you are entitled to claim for two types of damages – general and special. Under general damages you can claim compensation for the pain, disability and suffering that you may have experienced because of the misdiagnosis. Under special damages you can claim compensation for all expenses that were directly due to the medical misdiagnosis. This includes doctor’s fees, cost of diagnostic tests, treatment and medications, loss of income, cost of personal care and transportation expenses to and from the hospital for treatment. You may also be entitled to claim for home care if necessary as well as any structural modifications to your home or vehicle. If you intend to go ahead and file a compensation claim for medical negligence it is always advisable to hire a personal injury lawyer instead of pursuing the case yourself. If you have a strong case, most personal injury lawyers will agree to help you out on a No Win No Fee basis. This means you do not have to pay any legal fees upfront. The lawyer will file the case and represent you in court without charging you anything. You only pay after the case is closed and only if the lawyer has won the case for you. The amount that you are due to pay will be a percentage of the total compensation awarded to you. For wrong diagnosis compensation contact us today for free advice.